What is a daily and weekly program? Physitrack allows you to create and assign programs as a daily program, and as a weekly program. Daily = The same exercises and parameters repeat every day until the program expires or is edited. Weekly = Allows you to dictate the exercises done on each day, and the parameters set for each exercise on each day. A more comprehensive program design. 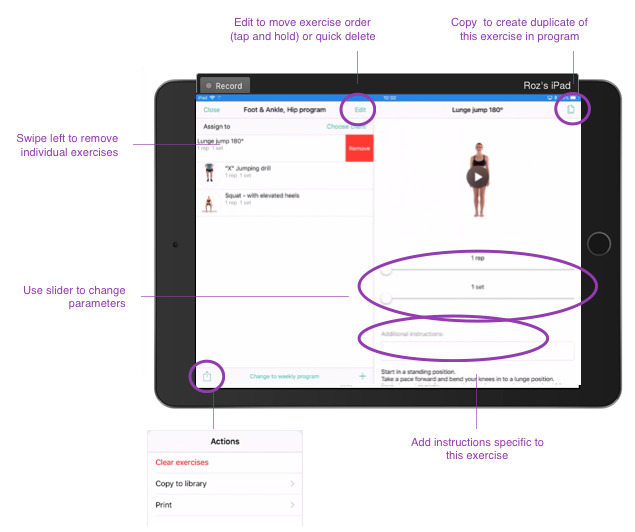 Once you have selected the exercises you would like to add to your program, tap the basket in the top right corner. This will open up the program design window. Daily program editor window (toggle to "weekly program" at the bottom of the screen). Weekly program editor window (toggle to "daily program" at the bottom of the screen). 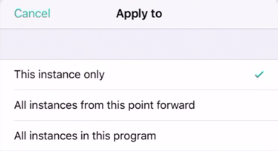 Weekly program editor functions (tap and hold on any exercise to access these functions). Can I add the same exercise more than once in a program?